From the northernmost reaches of the Canadian wilderness to the southernmost tip of Cape Horn, a rich blend of indigenous, European, and African cultures makes the Americas one of the most intriguing regions in the world. Common concerns include widespread poverty, ethnic tensions, political struggles, and the illicit drug trade. The First Nations peoples of Canada and the Native American groups of the United States are a priority for Scripture listening efforts in North America. In addition, diaspora groups from all over the world are a burgeoning segment of the population and are a key target for Scripture engagement in collaboration with our missional ministry partners. The linguistic diversity of Mexico surpasses that of any country in the region, as more than 220 different languages are spoken throughout the vast and often remote landscape of this country. There are currently Scripture translations available in more than 140 native languages and Faith Comes By Hearing is positioned to make Audio Scriptures available on Proclaimers in more than 100 languages. The primary target of our collaborative efforts is among indigenous groups and also with the established Church. From the richness of the Mayan languages and cultures in Guatemala to the diverse native groups in the extreme points of Panama, Faith Comes By Hearing is engaging people with God’s Word in their heart language. 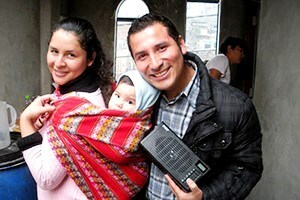 The extreme focus for Guatemala, Panama, and Costa Rica has been to provide Audio Scripture for indigenous groups. 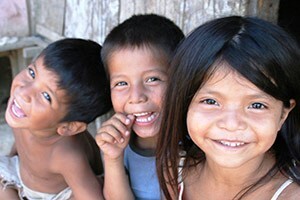 Reaching into classrooms in Guatemala, El Salvador, and Nicaragua has provided unique and rewarding opportunities among children and youth who comprise nearly half of these countries’ population. The coastal speakers of the Garifuna and Mískito languages of Honduras and Nicaragua are extremely responsive to Audio Scripture as well. Spanish speakers in each country engage with the Scriptures on Proclaimers in the most isolated areas throughout Central America. Cultural diversity and natural beauty, along with linguistic diversity, offer unique opportunities for Scripture listening in Cuba, Haiti, Dominican Republic, Saint Lucia, Suriname, Jamaica, Belize, and other island nations. The critical need and focus for Faith Comes By Hearing listening groups is among indigenous people groups, the established Church, and children. The coastal regions of Colombia, the Amazon region of Brazil, Ecuador, Bolivia, Paraguay, and Venezuela are among the rainiest areas of the entire planet, but they are home to some of the least and last reached people groups. The various ranges of the Andes stretch from the Sierra Nevada of Santa Marta in Colombia all the way to Patagonia in Argentina and Chile. Faith Comes By Hearing, in partnership with others, is reaching the most remote indigenous people groups in the jungles, mountains, valleys, and coastal areas of South America. 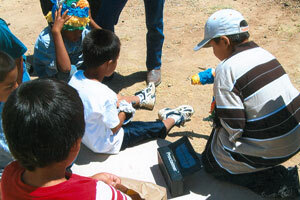 School programs, giving Scripture access to children in both urban and rural settings, are also vitally important. 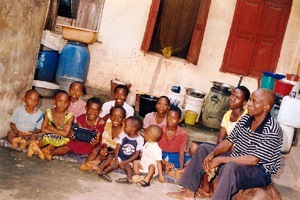 Of equal value is the vast array of listening group projects among Christians throughout remote rural and less-isolated urban locations across the continent. 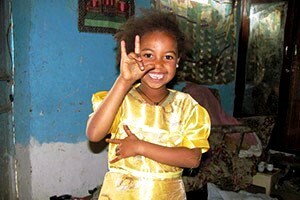 Africa is a continent of extreme economic, political, cultural, religious, and geographic diversity. Deepening poverty, cyclical food shortages, increasing religious tensions, periodic political upheavals, and ongoing health issues (AIDS, Ebola, etc.) are all exacting a toll on the people of this beautiful, multi-faceted region. 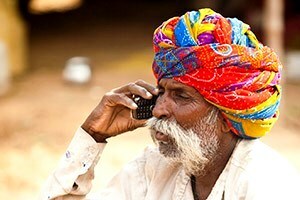 Forecasters project that Sub-Saharan Africa will have the second largest number of mobile connections, behind Asia, by 2020. From humble beginnings that included just a handful of faithful partners in a few countries, the work of Faith Comes By Hearing in Africa has grown to cover most of the continent. Today, New Testament recordings are touching the lives of millions, both at home and abroad. 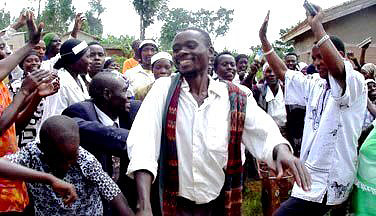 Since listening programs were introduced in Africa, our field partners have reported countless lives being transformed each and every month in churches, homes, villages, cities, schools, prisons, hospitals, and more. 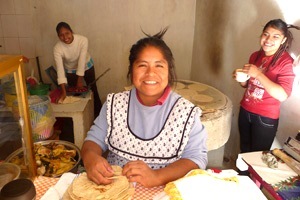 We work with both local and international partners who implement projects as part of their existing ministry activities. Project proposals/requests are sent to our office and vetted for approval. 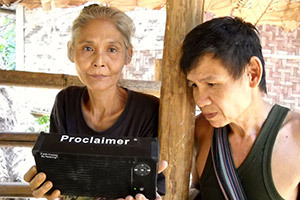 There are several ways to send Audio Scriptures to our field programs and our partners help us determine which are most suitable for their needs (Proclaimer, Mini Proclaimer, SD cards, etc.). 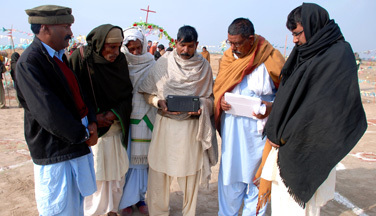 Through the Digital Bible Platform, people from every part of the globe have an opportunity to access Scripture in their heart language and remain connected with their home countries and cultures. This vital step in the process helps us refine our approach with each field partner to get the best outcomes possible, as well as allows us to forward reports to those who support and pray for the projects. The region having the least number of geographically remote people groups and the most overall access to technology still suffers from nominal Christianity, ethnic fragmentation, extreme religious persecution, and pockets of poverty. But, thank God, His Word can change even the hardest of hearts. 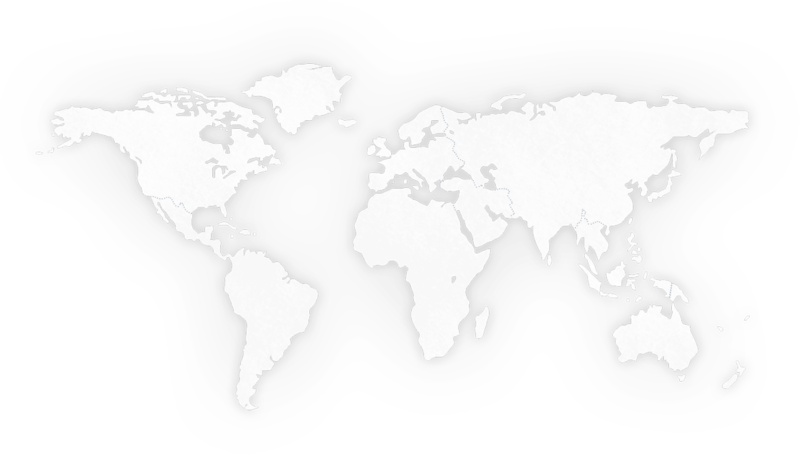 Three culturally distinctive areas comprise this region of contrasts and require every possible method in order to spread the Good News of Jesus Christ. Partnerships with European Bible Societies are used to promote the Bible.is app to younger generations; we’ve even customized the app for our partners to make it more suitable for their region. Working with partners to reach diaspora populations – primarily refugees and immigrants – has become an increasingly important focus. 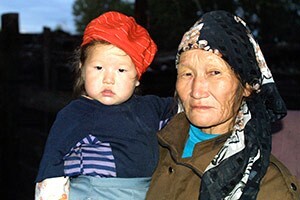 We work to connect these people with listening programs in which they can be ministered to through hearing God’s Word in their heart language. 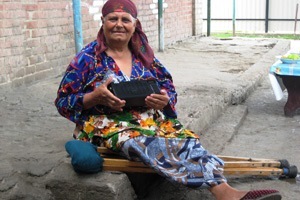 As a former part of the Soviet Union, Central Asia is a region where tradition and modernity collide, providing unique challenges to the spread of the Gospel. Some countries have a degree of openness that makes Bible listening groups a viable option; in other countries we have to rely on digital technology to reach people one-by-one. We get God’s Word to the Middle East through listening groups using Proclaimers, Mini Proclaimers, and Micro Proclaimers. In more restricted areas, gathering as a group may not be permitted. In these cases, we provide individuals with the opportunity to listen to the Bible on their own through BibleSticks and the Bible.is app. Across the region, more than 90% of households have at least one television and satellite dishes are very common. 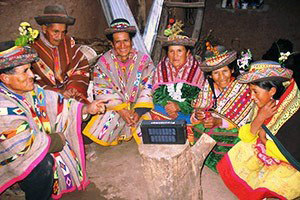 This has opened the door for partnership with Christian satellite providers who air Audio Scripture around the clock in five regional languages that can be accessed via connected TV sets. 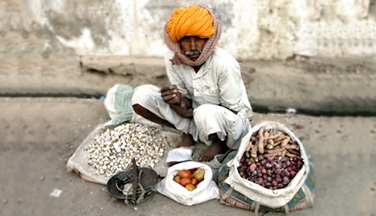 One of the most ancient and complex regions on earth, South Asia’s long history of adhering to the caste system has created tremendous economic inequality. Poor infrastructure, abject poverty, disease, religious intolerance, and social discrimination plague much of the region, which is sorely in need of God’s enduring hope. English, Urdu, and Bengali are the three South Asian languages with the highest digital engagement. Understanding the needs of a potential ministry partner in the field goes a long way toward building a strong relationship. Their infrastructure and ministry opportunities are important to consider in providing the appropriate audio device(s) to successfully meet their needs. In most cases, a partner already has an organizational strategy, so we work to be flexible with them without undermining our own mission and vision. This allows both the partner and Faith Comes By Hearing to reach their specific goals. How do we maintain relationship after device delivery? 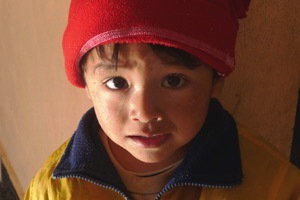 This can be difficult as we work with many ministries serving in rural or very difficult areas of ministry. These difficulties might involve transportation problems, political instability, and, of course, spiritual oppression and persecution. Open discussions and prayer before either organization commits to working together is a must. Staying in touch with partners via phone, email, or in person develops a relationship of trust, support, and mutual respect. 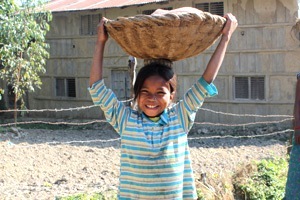 Rice checking is a form of reporting which requires Faith Comes By Hearing to personally visit field programs. 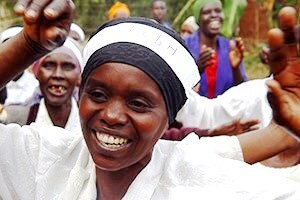 This allows both ministries to see the effectiveness of Bible listening groups. Our observation has been that partners themselves, no matter the language or region, discover exciting stories and testimonies that they failed to capture during their program experience. So we are open to rice checking as many partners as possible, as long as we justify the costs to do so. Minimizing program quantities with new or unproven partners is a key factor. 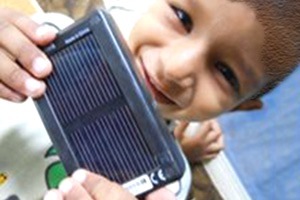 Pilot projects are based on the ministry potential and can range from 10 to 100 audio devices to start. After a reasonable time of field implementation and reporting, further device support is discussed with those having infrastructure that fits the process and ministry efforts that are strengthened as a result. Continually putting efforts toward acquiring new translations for recording is a priority. 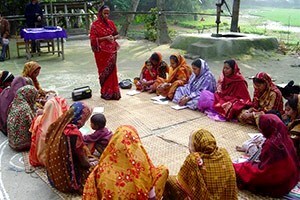 Partners involved with translation will many times use the national or trade language for listening groups. Seeing the effectiveness of audio encourages further discussion about unrecorded, local-language translations they may be involved with. Smaller language groups may only have portions or a few books, but we want to meld use of those with the national or trade language whenever possible. 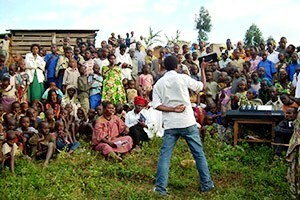 Making partners aware of the Deaf Bible app and starting groups where possible is a new initiative. This is applied mainly in urban areas, where web access is available, but will increasingly become a focus as we acquire more New Testament videos from our Deaf ministry partners. Many languages, religious traditions, and political systems are represented among the billions of people who inhabit East, Southeast, and Pacific Asia. This region’s stunning, but volatile landscape can be both a blessing and a curse to all, whether faced from the heights of prosperity, the depths of poverty, or somewhere in-between. The Bible.is app – localized so it functions in both traditional and simplified Chinese – is available on China Mobile, the world’s largest cell phone service provider! In East Asia, some soil is rich and fertile while other soil is hard and resistant. Where the soil is rich, traditional Bible listening is extremely effective and the ground is truly yielding fruit up to a hundredfold – meaning we are seeing fruitful multiplication amid widespread hunger for God’s Word. Where the ground is hard, digital technology is relied on to generate interest and feed more personal needs. Government-authorized partners are implementing Bible listening groups using both full-sized Proclaimers and Mini Proclaimers. These listening groups are providing access to God’s Word where the literacy rate is very low and where trained leaders are not available. 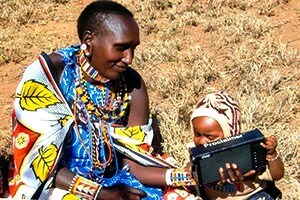 Every Audio Bible device is used multiple times each week, often in many different locations. This newfound access to God’s Word is bringing forgiveness and love where hate and anger used to reign. 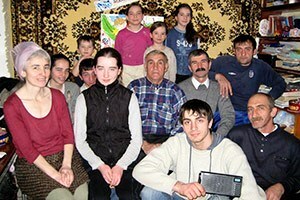 Much of this population lives a nomadic lifestyle in remote family or small community environs. 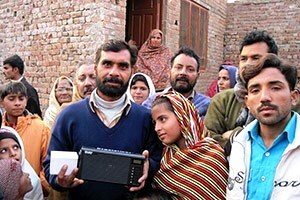 Audio Bibles are particularly effective in bringing hope and joy to these people. Our partners are able to share Audio Scripture through their veterinary and educational works, both in the cities and on the plains. 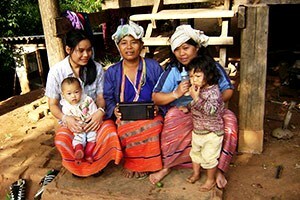 Vietnamese people love to listen to audio programs in groups rather than with earphones. MicroSD cards, placed in small players or even mobile phones, make it possible for families, office employees, factory workers, and farmworkers to listen together at appointed times or during the entire workday. The ease of this type of distribution has made Bible listening grow exponentially and groups now number in the hundreds of thousands. Bible listening is often accompanied by deliverance from evil spirits and practices as well as the forsaking of adultery. 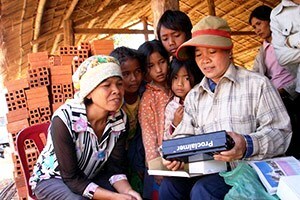 God has chosen to demonstrate His power along with Bible listening in Cambodia. When our partners go into new areas they often find evil spirit worship along with opposition to the Gospel. 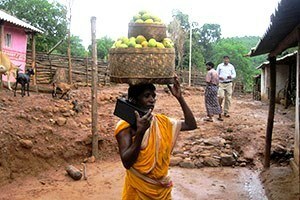 Simply playing the Audio Bible in these environments has brought about deliverance from these practices. 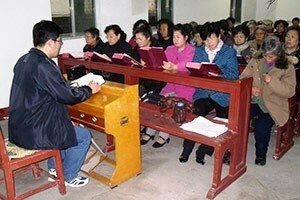 Many times whole villages have repented and believed on Jesus Christ together. Thousands of churches have been planted and many thousands of lives have been transformed in this way. 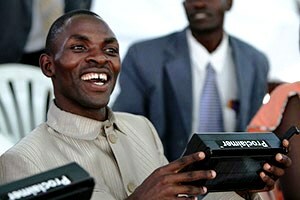 Where Bibles are not permitted, small listening devices can be used with security and discretion. Even nonbelievers can be safe while listening to God’s Word in small group or private sessions. 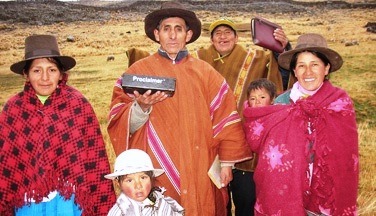 Mini Proclaimers are distributed through churches that use their experience and discretion in making Bible listening available in their churches and communities. Thousands of Bible listening groups have started in this way and the participants come from all segments of Indonesian society. The population of the Philippines has a long history of church engagement and familiarity with the Scriptures. In addition, radio dramas are widely listened to – most people regularly listen to several dramas. Therefore, dramatized Audio Bibles have been fervently endorsed and utilized. The strategy of using Proclaimers supplemented by CDs has caused rapid church growth, with more than 400 churches increasing attendance from 50 to 1000 members in six months. This numeric growth is accompanied by life transformations such as restored families, delivery from alcohol or gaming addictions, and social development. Religion is strong in most Pacific Island nations, but Christlike discipleship is not always apparent. Most people go to church regularly; however, evidence of life transformation is often missing. While this condition may not be unusual, the absence of meaningful Bible engagement is the most likely cause. 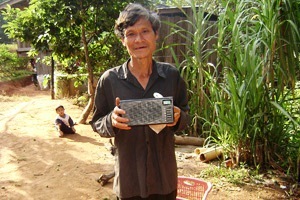 Bible listening has been spread through churches and social agencies, particularly those working with the blind. 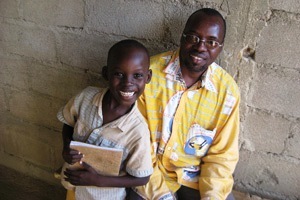 Blind students have started Bible listening groups in their schools, churches, and families. Access to many island nations is difficult and many translations are outdated. Therefore, we need assistance in recording Scriptures for the hundreds of languages that do not already have them. More than 840 distinct languages are spoken in this small nation. Access to many tribes is restricted by tribal fighting, absence of roads and transportation, and a lack of communication infrastructure. Despite these limitations, around 200 languages have some form of Scripture translation completed; however, we have so far been able to record less than 20. In spite of this, several thousand Bible listening groups have been formed through the courageous efforts of our partners. Bible listening has been instrumental in bringing reconciliation and peace in many areas, as people hear about forgiveness and then extend mercy. and Cover the World with the Word! Whether created in the field or virtually online, heart-language Bible recordings using local speakers is at the core of what we do. 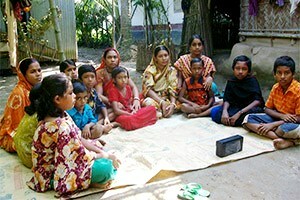 Bible listening programs, hosted by local believers, provide a unique forum for listening and discussing Scripture to bring transformation. We provide the tools and technology. Field partners help us understand the local culture. Together, we are sharing God’s Word like never before.